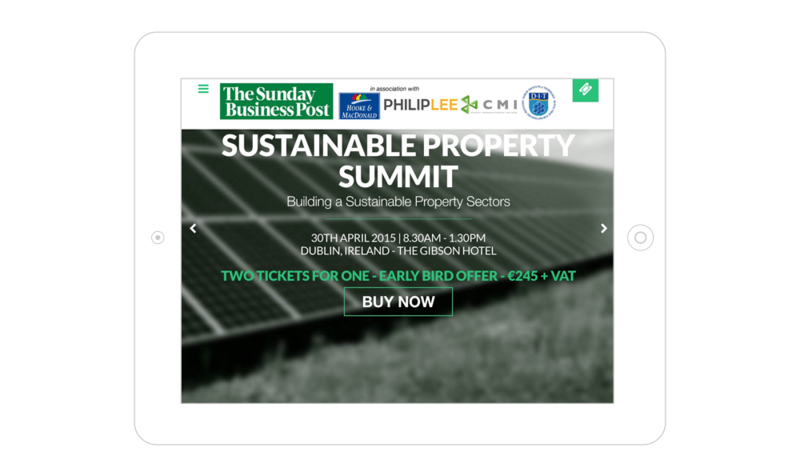 Another logo & website for a Sunday Business Post event. 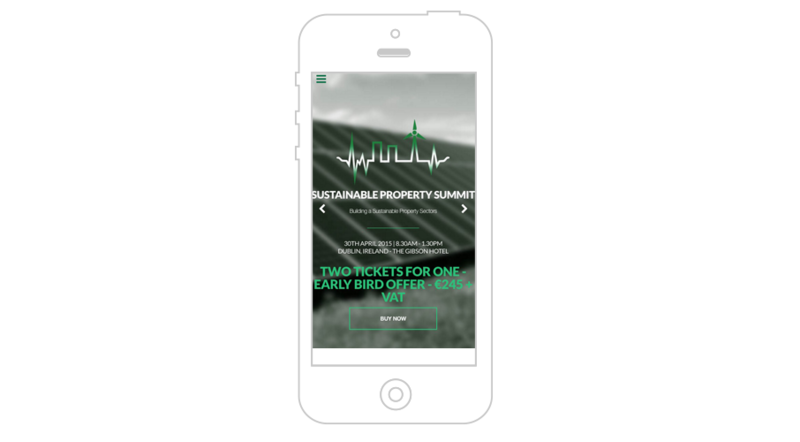 This one ties in with a Property Summit. The logo is a variation on the theme pursued in that summit. A heart monitor combined with a skyline except the crane has been replaced with a windmill to symbolise the ‘Sustainable’ theme of the summit. 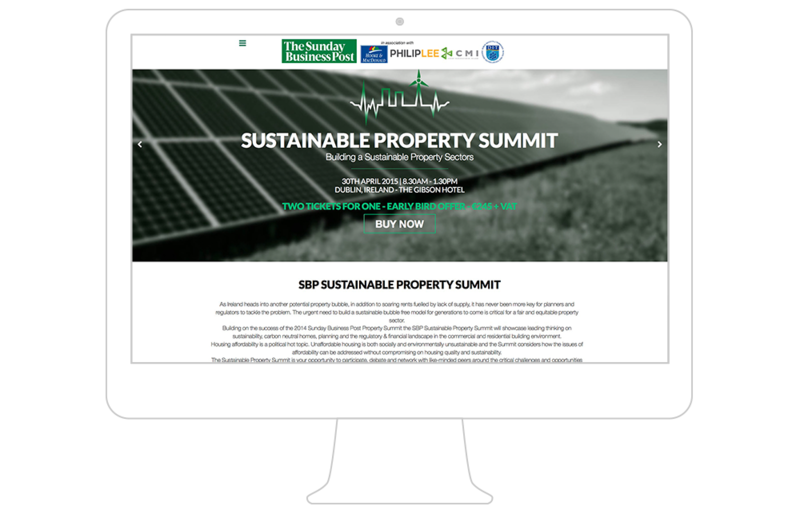 See the Property Summit Brochure for a version of the Property Summit logo.